Canggu's beach clubs are popular places for sunsets, cool vibes and a relaxed lifestyle. 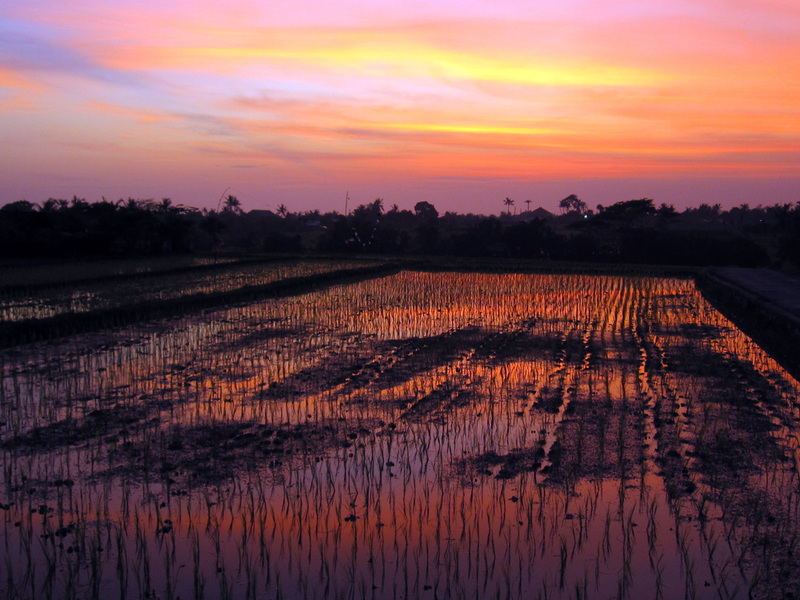 Spectacular sunsets over rice fields in Canggu. 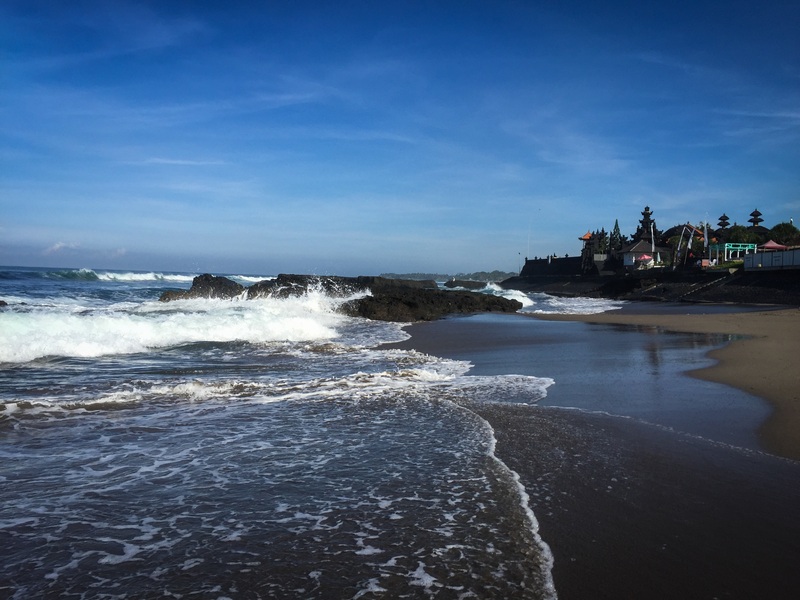 Canggu's Batu Bolong and Echo Beach are the hippest hangouts for good reason. Quality of life in Bali is conducive to those in creative industries. Coworking, Digital Nomads and the Creative Economy have taken Bali by storm recently. According to Coworker.com there are 150 registered Coworking spaces across Indonesia, and Bali has become the proverbial Neodymium Magnet, attracting Millennials and digital entrepreneurs from around the world with dreams of paradise found. Creative Ecosystems in Bali support the establishment and development of startups, which are intrinsically connected to creativity and technological innovation. Bali is physically well located and has great access to easily tap into markets and opportunities in the digital economies of Indonesia as well as the rest of Southeast Asia. The quality of life in Bali is good and conducive to those in creative industries. Housing is also relatively cheap when compared to other major Asian cities. Bali’s position as a world-class tourist destination attracts foreign investors and those interested in funding and raising home-grown startups. 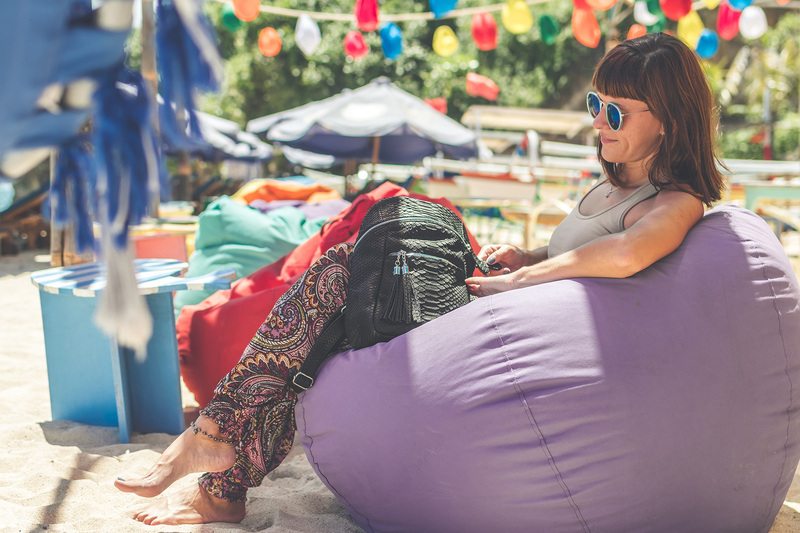 And while the oldest and possibly most famous Coworking space (called Hubud) is based in the highlands of Bali's cultural capital of Ubud, the hippest hangout is Canggu on Bali's popular west coast, particularly in the area of Batu Bolong and Echo Beach. According to data collected by Exotiq Property and Harcourts Seven Stones, land prices in the area have risen substantially over the years from around IDR 80 million per Are (10 x 10 square metres) in 2013 to a dizzying IDR 1billion per Are in 2018. Profound changes have taken place in Canggu since 2013. Restaurants, coffee shops, health food stores, trendy boutiques, yoga sanctuaries, surf hangouts and cool bars frequented by beautiful people have mushroomed, largely fueled by a wave of Digitalpreneurs enjoying a utopian alternative lifestyle in this laid back tropical paradise. "It's not just commercial opportunities that have taken off in Canggu," says Terje Nilsen from Harcourts Seven Stones, "there are also some spectacular residential prospects out there. Who wouldn't think twice about living in a luxury villa with rice field, ocean and mountain views just minutes from enjoying sundowners and spectacular sunsets with like-minded souls?" Local government is also making Bali more digitally attractive and competitive with plans to give the entire island free WiFi in 2019 by increasing the number of WiFi access points from the current 300 to over 4,000. According to Gapura Bali, Google and worldwide investment company Tamasek ranked Indonesia #1 in Southeast Asia for e-Commerce transactions in Southeast Asia suggesting as much as 60 percent of ASEAN's digital economy market is in Indonesia. The potential this brings, combined with government initiatives in developing “Smart Cities” across Indonesia, of which Denpasar is one, and the most recent relaxations to the Negative Investment List (DNI) in the 16th Economic Package allowing majority foreign ownership in telecommunications networks, content services, call centres and fixed telecommunications networks is setting the groundwork for a seismic shift in the way the country does business and for the investment opportunities about to happen.